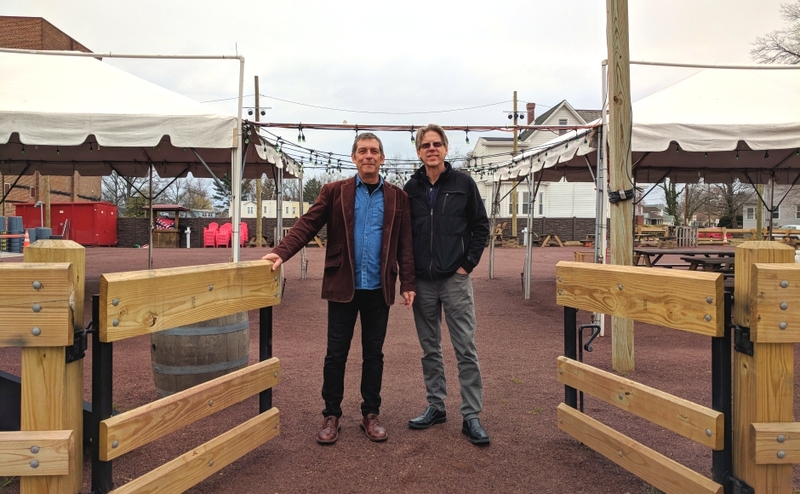 Doug Kelly (left) and Keith Guenther stand at the Haddon Square site of the Westmont Farmers Market in Haddon Township. Credit: Matt Skoufalos. 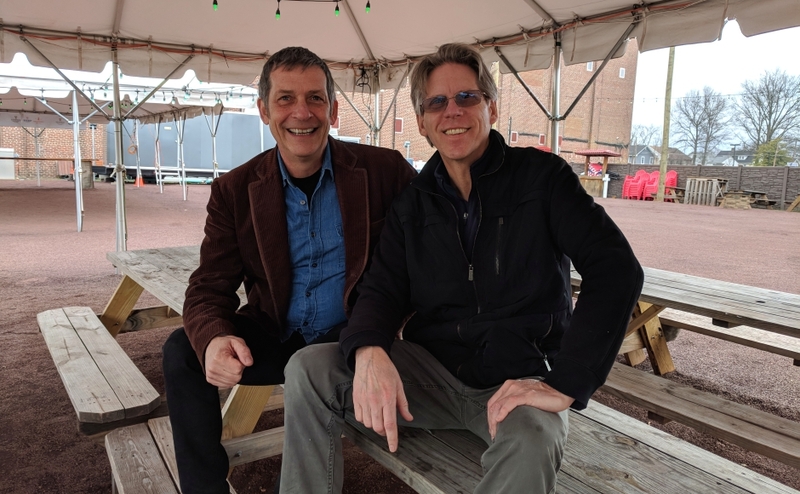 Keith Guenther of Cherry Hill, a longtime florist and environmentalist, says he’ll help grow the weekly market as a pillar of local sustainability efforts. Doug Kelly (left) and Keith Guenther at the Westmont Farmers Market. Credit: Matt Skoufalos. When the Westmont Farmers Market opens for the 2019 season next month, it will be in the hands of its first new director since the event was begun more than a decade ago. Just a few weeks ago, the midweek market was cancelled after the resignation of founder-director Doug Kelly prompted the Haddon Township Business Improvement District (BID) to move on from the program. It was resurrected shortly thereafter by the township government and a fresh influx of cash from First Colonial Community Bank of Collingswood. On Monday, organizers announced the hiring of Cherry Hill resident Keith Guenther as its new coordinator. 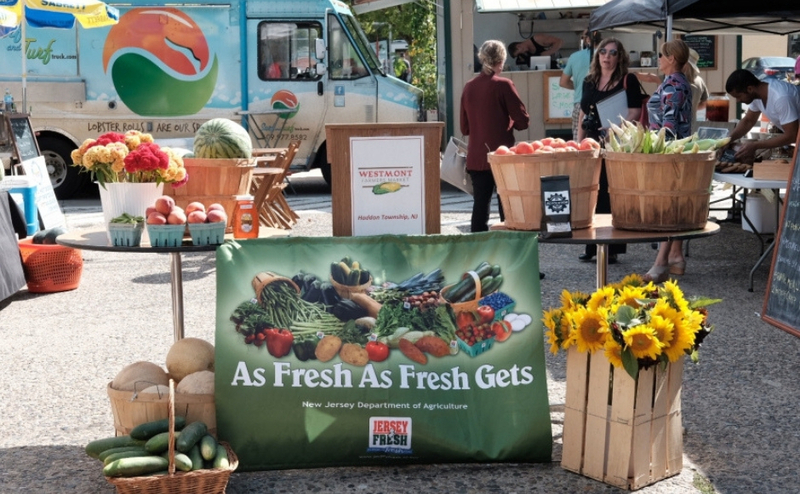 Referred for the position by Haddonfield Farmers Market director Ralph Ciallela, Guenther believes he understands the needs of its vendors as well as those of its customers. For 24 years, Guenther operated All Occasions florist on South Street in Philadelphia; today, he runs a CBD company, Vibrant Botanicals, from his home. A health coach who studies integrative nutrition, Guenther said the farmers market “really fits with what I believe in. The Westmont Farmers Market. Credit: Tricia Burrough. “We want it to be holistic, sustainable,” he said. In his first year on the job, Guenther said he’s most looking to learn the ropes and fill out the weekly vendor roster. He anticipates adding more organic farmers, like Muth Family Farm of Williamstown, to a stable of regulars that includes Haynicz’s Orchardview Farm, Robson’s Farm, and Vierek Farms. He also will create a schedule of events that feature local businesses, as well as soliciting programming ideas from neighbors in the township. Westmont Farmers Market Coordinator Doug Kelly at the opening of the 2018 market. Credit: Matt Skoufalos. For Kelly, the opportunity to pass its reins to a new set of hands is a welcome one. “I’m excited to have a fresh set of eyes,” he said. Guenther’s hire has been part of a larger transition of market leadership into that of a nonprofit organization that Kelly is working to establish with the blessing of township commissioners. “Going forward, I think having a board of directors is a good idea, so someone can oversee the manager as the whole thing has grown,” Kelly said. 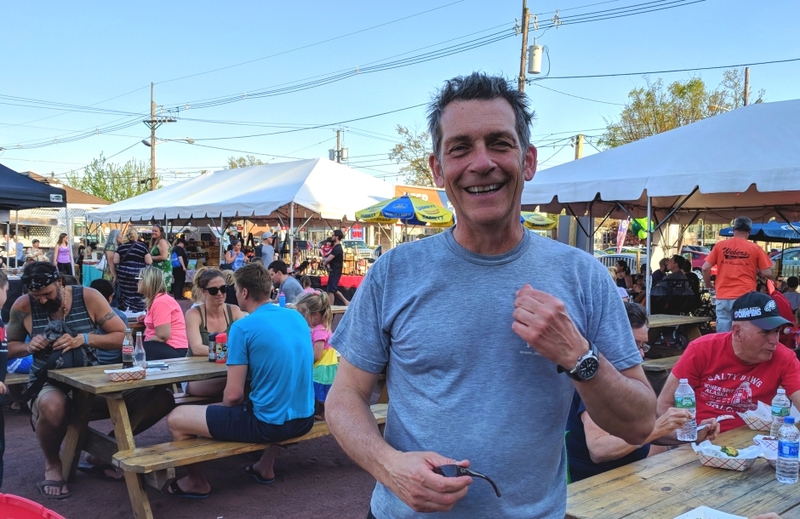 With his responsibilities transferred, Kelly said he will concentrate his efforts on co-organizing the Summer Solstice and Haddon Township Music Festival events, which he promised “are going to work closely with the farmers market. “More people working together to make these things bigger frees up room to make new events,” Kelly said.